How to create a 5-word subject line. What to write so that users actually read your email. Upon first thought, this may sound easy, but it’s not. Because you’re writing for the people, the individual can decide whether it’s worth reading or it’s better to save time and hit the exit button. The question is, what drives the readers actually to click it? As it turns out, there is a lot of reasons, and they don’t necessarily depend on what’s written. 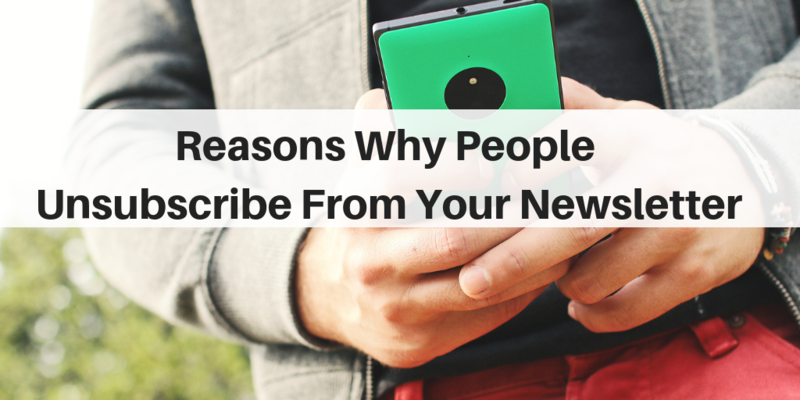 This article will give you further insight into what makes the subscribers kiss the newsletter goodbye. We see irrelevant newsletters all the time. It might be the topics covered in the last three emails or the voice in which it was written – if any of it doesn’t resonate with the reader’s interests or needs, chances are they will decide to unsubscribe from this list. How can you prevent it? Analyze your audience. Make sure your newsletter content contains have something they would be interested in learning more about. It would be hard to pick what’s worse: no subject line, a controversial one, or inappropriate? Put yourself in a user seat for a second. Would you want to check the email that doesn’t have any description? If there is nothing that excites you to open it, it’s easy to skip it. Another interesting fact is that poorly described subject lines may generate unsubscribes or be the reason the letter is never even opened. This is why it is worth taking the extra time to craft a description summarizing your body content. Fortunately, many case studies are addressing how to write a subject line that your audience wants to read. A girl who has no name looks good only in a Game of Thrones series, and outside the Seventh Kingdom, there is nobody who fancies being nobody. Meaning: if you send a newsletter that sounds like a no-reply from the very first words, it was likely an unsubscribe email. How to keep the addressee on board? If you have a small business with a small database, try to personalize every email. It will take a lot of time, and you might require a assignment service to help you out, but the results will pay you back. What if your email list is enormous? The best way is to divide your addressees into several groups and write the most personalized newsletters for each of them. If you want to learn more about your audience try appending Email Intelligence demographics. Too much is too much, they say, and I agree. Nobody, and I mean, nobody wants to be bombed with the newsletters every day or even every week, especially if the content is not time sensitive. How to get their attention without trashing the readers’ inboxes? Sarah Peterson recommends sending the newsletters during the days the emails get more clicks, openings or other responses. With the tons of tracking tools, it’s easy to do. The anxiety around the terms and conditions or privacy issues has never been that hot, and rightly so. People value their personal space and don’t want anyone to intervene it with deals, promotions, or updates. Although it might hurt your entrepreneurial ego, do respect their choice and continue working on widening your target audience. Reaching out to people is, indeed, a very subtle art that any business owner should master because of the benefits it has. Your newsletters are vital because it allows keeping your customers updated about the changes, novelties, or special offers. As a result, it plays an essential role in the establishment of long-lasting relationships, which increase customers’ loyalty and keep them interested in news from you. Secondly, it shows you the trends that the customers favor and the ones that make them hit “Unsubscribe.” The best part? It keeps the company visible. So, choose a day, get yourself comfortable, and check if your emails have anything mentioned above, and even if they do, you already know what to do. Nicole Cowart is an entrepreneur and media marketing specialist. Her professional interests include cognitive linguistics, behavioral psychology, and discourse studies. Currently, Nicole works on a book will explore the human perceptions of different narratives in advertising.